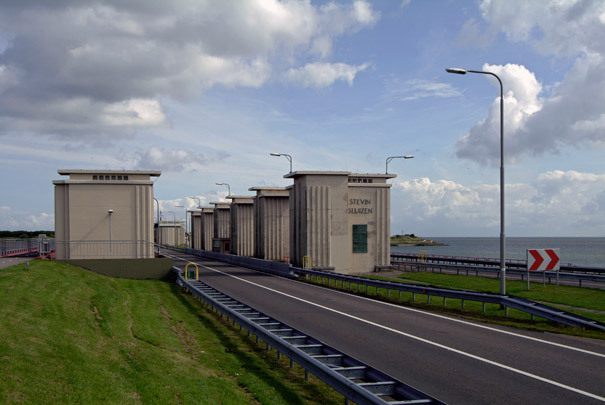 Situated at the point where the Afsluitdijk meets Noord-Holland are a series of fifteen discharge sluices, consisting of concrete machine rooms with steel sluice gates in-between, with a total breadth of 180 metre. At the other end where the dike joins Friesland are a further ten sluices stretching 120 metre. At ebb tide the gates are opened to discharge water from the IJsselmeer into the sea.